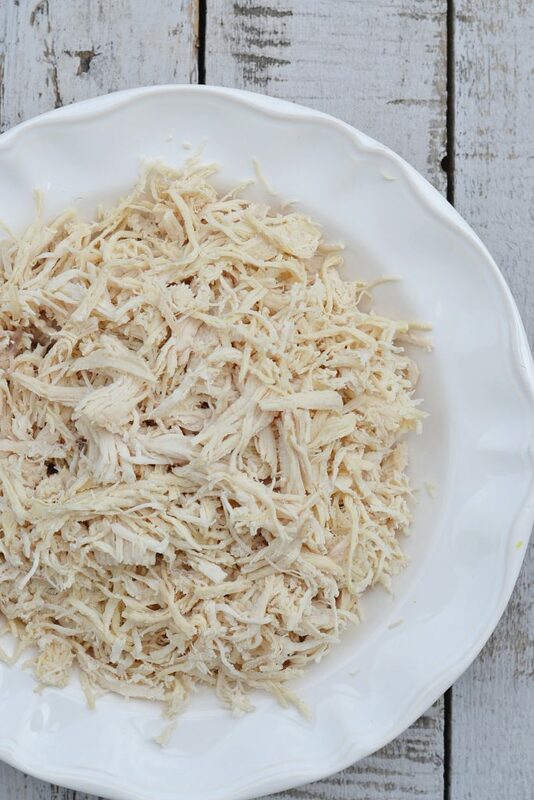 Shredded chicken is great in so many recipes and you’ll want to learn this neat trick for the easiest way to shred chicken. If you are a regular reader of my blog, then you know I have a very busy life with three kids. We are always running to practices, games, church lessons, and doing homework. I’m always looking for shortcuts and recipes that are easy to make. I don’t have even an hour most nights to make dinner. Sometimes I’m making dinner at lunch time because that’s the only time I’ll have all day. 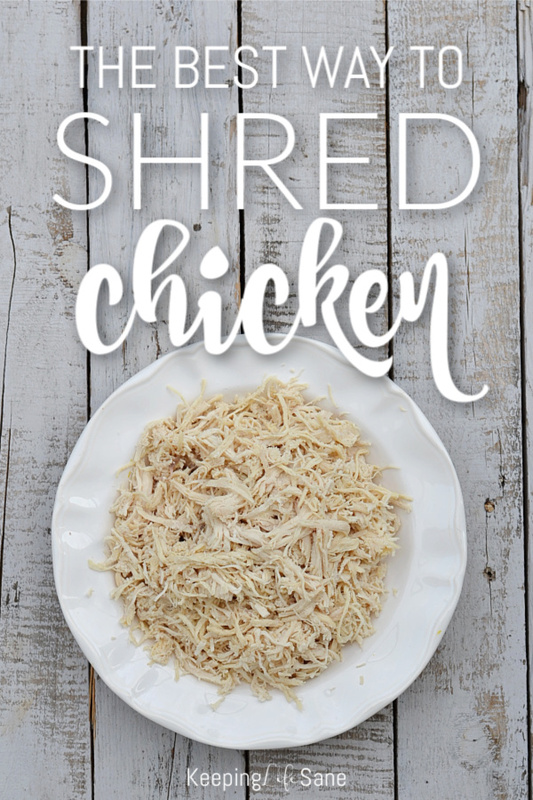 I realized that I can do somethings to make my life a little easier and have a few recipes that call for shredded chicken. I cook a huge batch at one time and freeze what I’m not using. It’s perfect to be able to pull out when assembling a casserole or one of these other dishes. Chicken Cordon Bleu Casserole– I made this recently and it’s REALLY good. I start out by bringing a large pot of water to a boil and drop my chicken in and bring it back to boil. Cover and simmer for 30 minutes. Drain the water out. Instead of pulling the chicken out on a cutting board and using 2 forks to shred, I grab my Kitchen Aid mixer. You can use a regular hand mixer too. 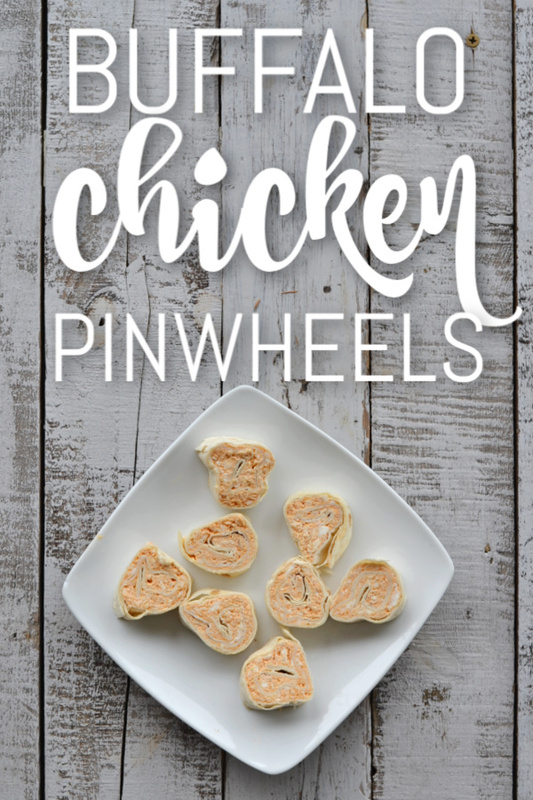 Check out my recipe for Buffalo Chicken Pinwheels.